"Mom, she's messing up my project!" I love having children of several different ages, but hearing this phrase is one of the hazards. 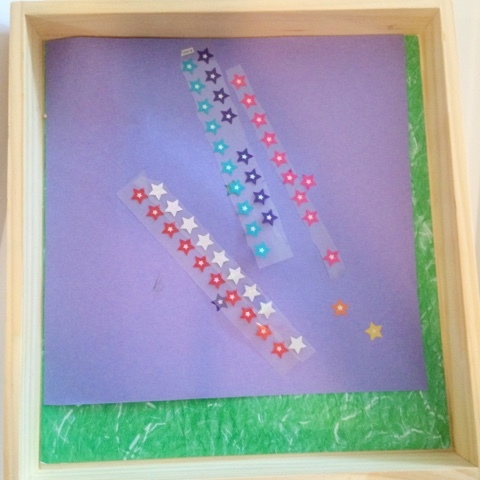 So, when I put together the patriotic math craft for my six-year-old together the other day, I decided to put together a toddler July project for my two-year-old as well. 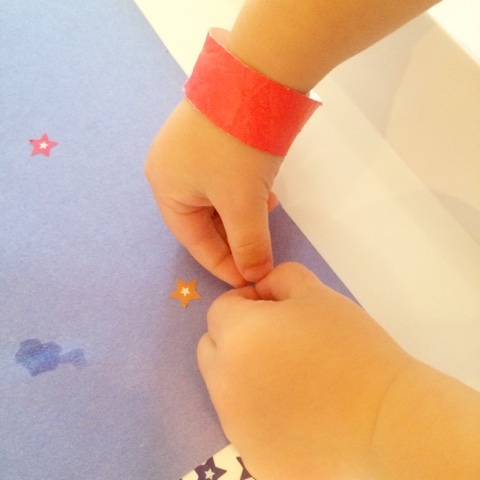 The toddler of the patriotic craft offers great fine motor practice, and you can always get familiar with some shapes, colors and counting along the way. 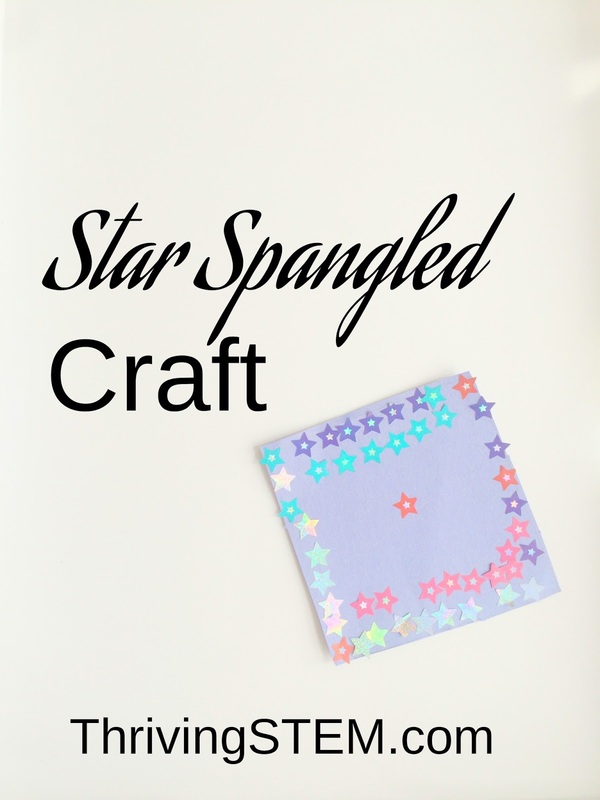 Simply present the materials to your little one and let her put them where she wants. 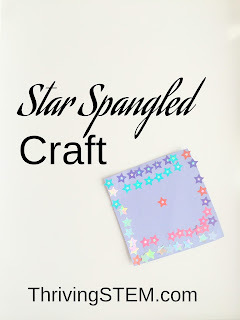 While she's placing the stars you can say thing like, "Oh, you're putting on a green star! 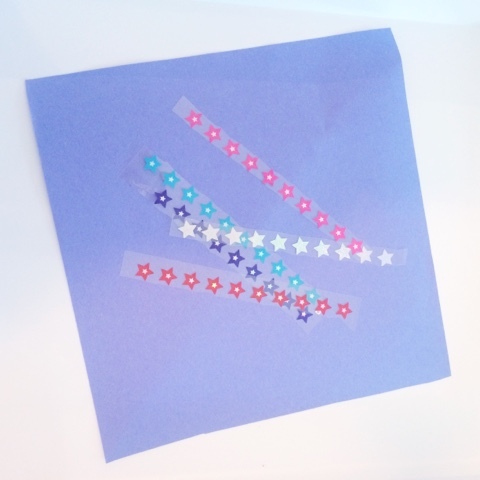 One, two green stars!" As two-year-olds are likely to do, she got bored pretty quickly. So put the materials in a tray on her toy shelf so that she could come back to them later. You could keep this to compare to another year's version, or display it proudly next her older sibling's. Have a safe and fun Independence Celebration!